Well, it's almost that time again: time for another MESSENGER Mercury Flyby! 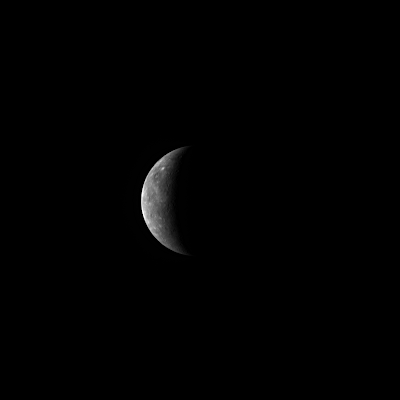 Wednesday, at 5:55 PM EST, MESSENGER will make a close approach of 228 kilometers (142 miles) above Mercury. The image below is the first image to come back of the approach. I'll post pics of the approach as soon as I get them! For pictures from past flybys, click here.